Leticia Doman is one of Stewart Title’s newest Title Officers. Having started with the company in 2016, Leticia is now one of 7 Title Officers for the Stewart Title Operation. A current Notary Public, Leticia started her career as a bookkeeper and in Human Resources before going into escrow. Her ability to understand the escrow process was an asset to her as she eventually moved over the title side of the industry. Leticia works out of the Carmichael branch for Stewart Title. Her tasks include research, compiling documents to record, producing preliminary title reports, reviewing and approving documents for E-recording. 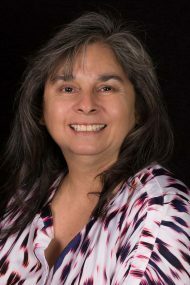 Leticia is always available to contact as she prides herself on her communication skills and helping the title and escrow process go as smoothly as possible. Her complete skill set shows off her proficiency and versatility.